One this is for certain, if there is fruit in the house it really doesn't get touched unless I make a big bowl of fruit salad. I used to think making a fruit salad was difficult. I just could never wrap my head around what to dress the fruit with. So for many years it was just a bunch of fruit mixed up in a bowl. The family still ate it thank goodness. 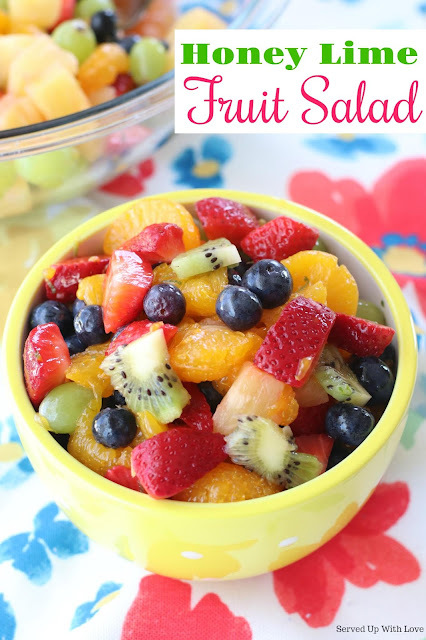 Color makes my heart swoon so I'm immediately drawn to a fruit salad. It is like sunshine and rainbows all mixed up in a bowl. And sometimes we could all use a little of both in our days. Honey brings just a little bit of extra sweetness without sacrificing the health benefits of the fruit. 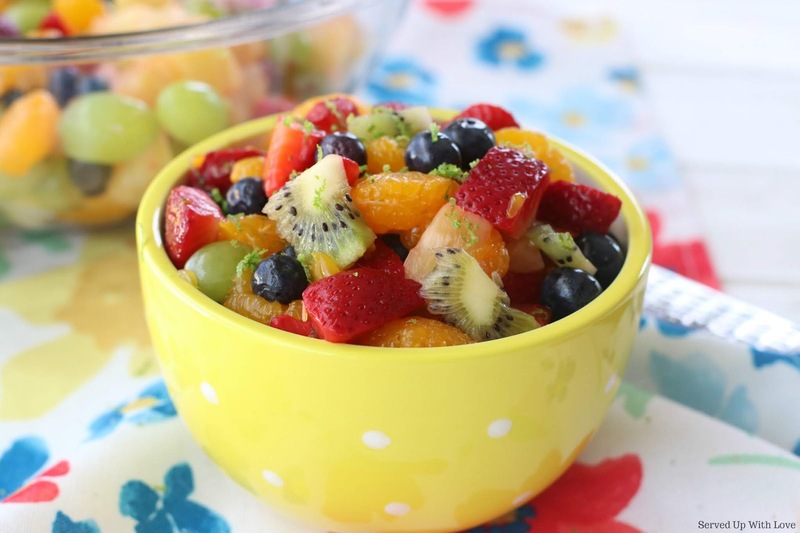 The burst of citrusy lime mixed with the honey makes this a fruit salad everyone will devour. So light and refreshing. The next time you need to bring a dish, consider bringing this one. It is a crowd pleaser. Ever tried quinoa? This Quinoa Fruit Salad makes the perfect breakfast and if you have never had quinoa, its a great first recipe to try. 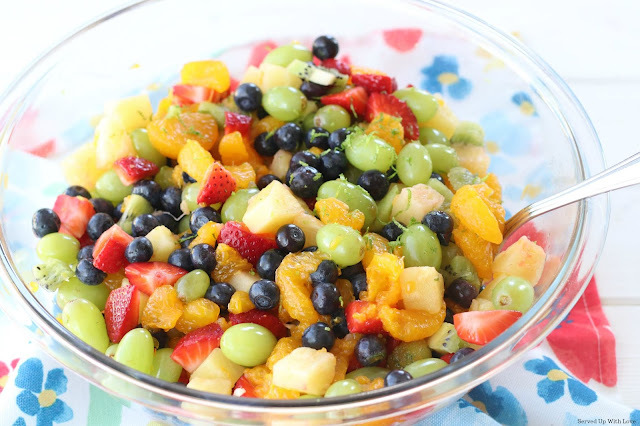 And we love the tropical spin on this Tropical Fruit Salad. So light and refreshing! This Honey Lime Fruit Salad is a crowd pleaser. 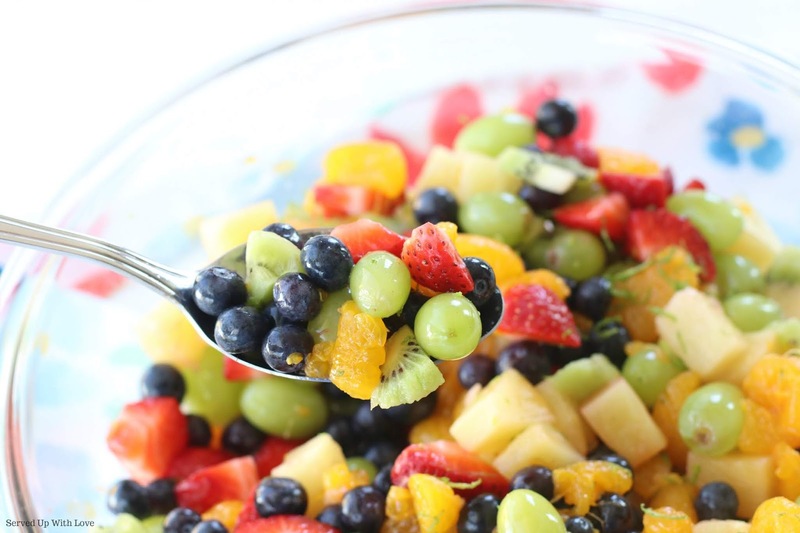 Place prepared fruit into a large bowl. In a small bowl, mix the honey, lime juice, and zest. Pour over the fruit and toss. Use any fruits you prefer or have on hand. G'day! A very healthy salad!